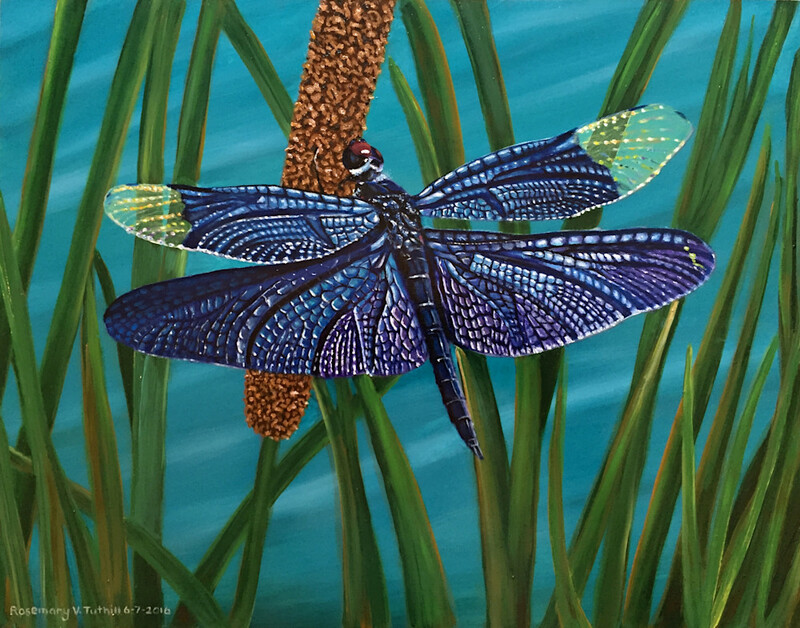 This 11" x 14" painting by Rosemary Vasquez Tuthill of the Dragonfly on Cattail is painted in on a board with a gloss varnish to bring out the life-like colors. Dragonflies were some of the first winged insects to evolve, some 300 million years ago. Modern dragonflies have wingspans of only two to five inches, but fossil dragonflies have been found with wingspans of up to two feet.